With Advanced Hybrid Heating Technology, NOVA-1000 offers the latest in energy efficient heating models. This environmentally friendly bidet seat features three seat sizes: elongated, round and small for children or special needs adults. 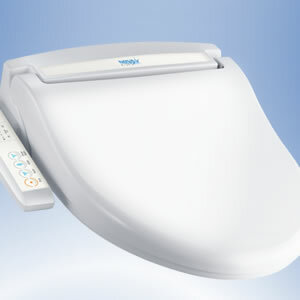 Another feature, unique to the NOVA-1000, is the ability to turn off the Occupied Seat Sensor function. Especially helpful for those using adaptive toilet equipment, this feature allows the bidet seat to be used with supporting toilet systems that aren’t able to properly activate a seat sensor. Metal covered wand and nozzles, as well as other features usually found on more expensive models, make this a best buy unit.